Widely used in landscaping for noise reduction and visual screening (Rook, 2002); along waterways, road cuts, and forest edges. 2) Perala, D.A. Silvics of North America. 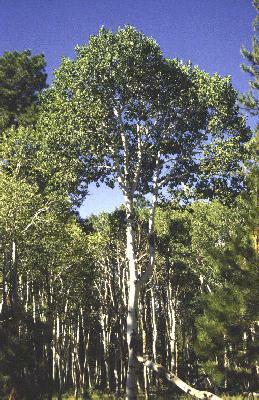 http://www.na.fs.fed.us/spfo/pubs/silvics_manual/Volume_2/populus/tremuloides.htm. USDA, Forest Service, Agriculture Handbook 654.December 1990. 3) Rook, Earl. Plants of the North. http://www.rook.org/earl/bwca/nature/flora.html. September 27, 2002. 4) Rose, Robin, Caryn Chachulski, and Diane Haase. Propagation of Pacific Norhtwest Native Plants. Oregon State University Press, Corvallis, OR. 1998. 5) VegSpec. Phil Smith, Project Manager. http://ironwood.itc.nrcs.usda.gov/Netdynamics/Vegspec/pages/HomeVegspec.htm, USDA, Natural Resource Conservation Service. April 7, 2003. 6) Watson, Rae. Forestry Technician. http://nativeplants.for.uidaho.edu/network/view.asp?protocol_id=2370. USDA, J. Herbert Stone Nursery. Protocol Information.